Brand: Escali Corporation EI-T115S Units: 1 The Tabla is a compact full featured scale. The scale's digital readout displays in pounds, ounces, fluid ounces or milliliter. The Tabla is ultra thin and easily storable. The maximum weight the scale will be able to measure is 11 lb or 5000 gram Measuring units: Pounds/Ounces, Fluid Ounces, Grams and Milliliter. Measures solid and liquid ingredients. Accurately measures in 0.1 oz or 1 gram. Tare Feature lets you reset the scale back to zero. When using a container, scale can subtract the containers weight to obtain the weight of its contents. 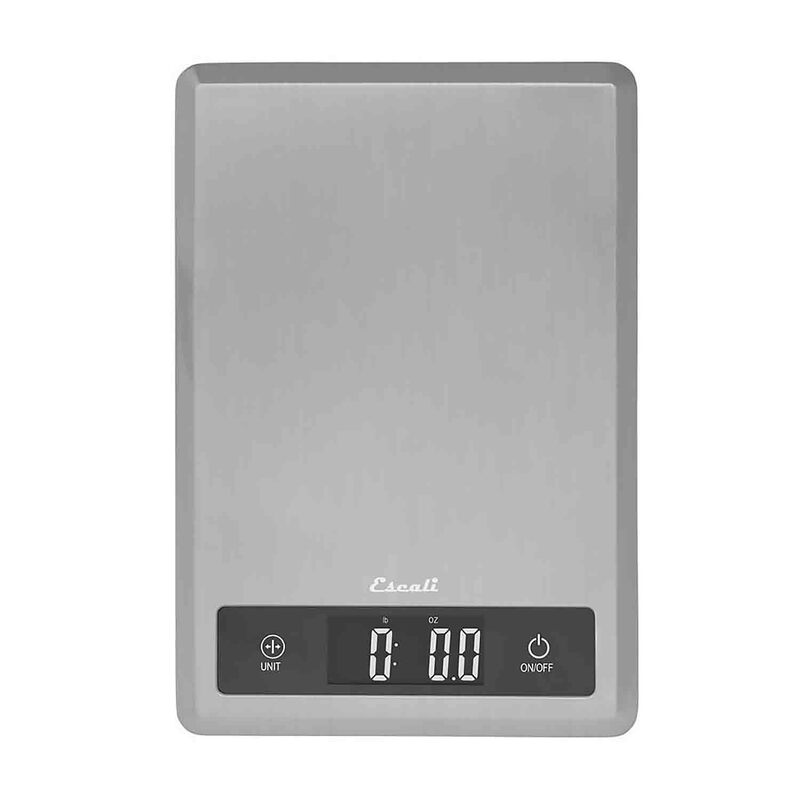 The scale will automatically turn off when it is not used for a set time. Easy to clean Stainless Steel platform. One Lithium3 Volt Button Battery, CR2032 battery is included. The Tabla is a compact full featured scale. The scale's digital readout displays in pounds, ounces, fluid ounces or milliliter. The Tabla is ultra thin and easily storable.